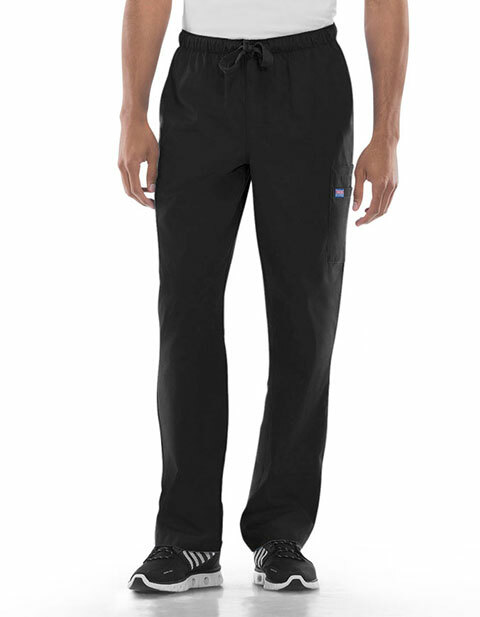 Perform with ease in Cherokee Workwear men's cargo petite scrub pant. The modern natural rise garment with elastic waist offers a comfortable fit with ease in mobility for a pleasant workwear experience. Featuring multiple spacious pockets with ample storage space, it enables you keep and carry your nursing supplies and essentials at quick access. Moreover, a functional fly zip, gives added functionality to the apparel.